Governments love scapegoats. In truth, they depend upon them to deflect their own failures and incompetence - and the best scapegoats are non-voters who cannot speak to defend themselves. In Australia, it's the shark. In Newfoundland, it's the harp seal. In Japan, it's the dolphin, and in British Columbia, it is the wolf. The government of British Columbia has a long history of wildlife mismanagement, because any form of human management is almost always mismanagement. Humans are not Gods, although bureaucrats try hard to be Gods, deciding who is to live and who is to die. They tend to be good at the "who gets to die" part, and not so much with the "who gets to live" part. 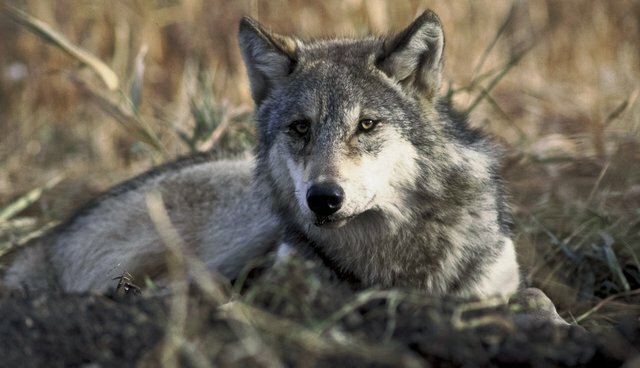 The taxpayer-subsidized wolf slaughter in British Columbia is devoid of legitimate scientific research and cannot be justified on ecological or ethical grounds. Killing wolves to protect caribou or elk does not benefit the caribou or the elk. The animals have survived precisely because of the value of nature's prey-predator dynamics. The problem is hunting, always has been. Unwanted predators are killed to "favor" animals whose death by hunting generates profit. Hunting is simply big business, and most hunting today - even in the "wild" - is "canned hunting." Wolves kill the sick and the weak. Humans kill the strongest, biggest and best. Wolves strengthen the herds. Humans weaken the herds. Back in 1984 I founded Friends of the Wolf, along with Farley Mowat, to challenge the insanity of the aerial wolf slaughter for the benefit of trophy hunters. Today this travesty has returned, made even worse because the wolves being targeted first have been radio-collared by scientists who apparently believe the purpose of studying wolves is to make it more efficient to kill them. The government of British Columbia is spending in excess of a half a million tax dollars to eradicate wolves in yet another example of governmental interference with the laws of nature - intervention that inevitably fails. In 1984, I led a crew up the Kechika River to oppose the wolf slaughter. We brought this massacre to the attention of the world. We engaged the killers and forced the resignation of then Minister of the Environment Anthony Brummett. We also took the government to court for violating the Firearms Act, which makes it illegal to discharge a firearm from an aircraft. Now we have to do it again, and one of my veteran Antarctic crewmembers, Tommy Knowles from British Columbia, has taken on the task of going into the areas where the wolves are targeted. These areas are the locations of the caribou herds that the government is trying to "protect" from the wolves. These areas have been identified as: Moberly (22 caribou), Scott herd (18), Kennedy Siding herd (23-25) and the Quinette herd (98-113). The government wants to slaughter 184 wolves at a cost to the taxpayer of nearly $3,000 per wolf. Tommy and his crew of volunteers are on the ground with the caribou, ready to risk their lives to intervene against any attempts to kill the wolves. Once again, citizens have to organize to oppose the ecological insanity of their own governments.